Getting off the grid for a week = priceless! Kenny has a smile for some well-deserved time off! Capt Ryan calebrates his bday early with a home-baked mud pie from his momma! Jim H. lands a wahoo at the first stop! 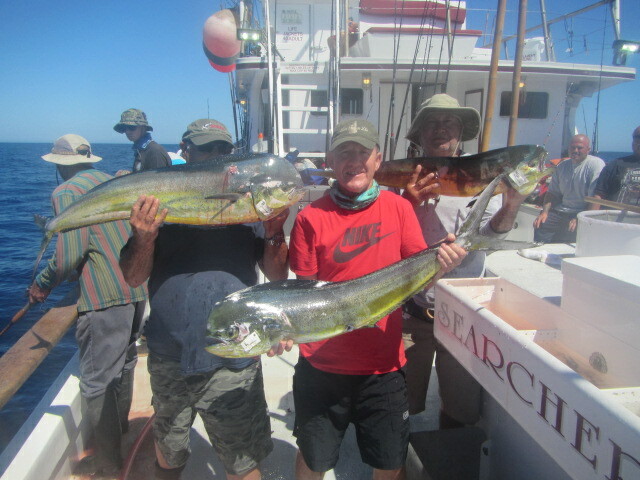 Dorado on Thursday to round out the catch! John W. completes his variety pack with this yellowtail on Friday! Capt Art and John C. and a good-looking yellowfin tuna! Pretty nice tuna, birthday boy! Austin restored 3 bamboo rods to bring on this trip!